Kene Mkparu, the Managing Director of FilmOne Distribution Company, one of the Executive Producers of the movie, disclosed this on Wednesday in an interview in Yankari. 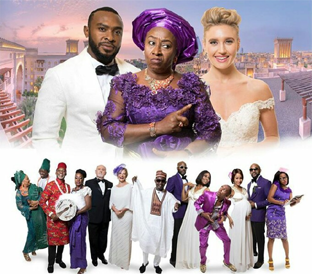 The Wedding Party is a signature title by ELFIKE Film Collective, a partnership between Ebony Life Films, FilmOne Distribution, Inkblot Productions and Koga Studios. The post `The Wedding Party 2 -Destination Dubai” costs N300m–Producer appeared first on Vanguard News.